Over the weekend, and unfortunately just in time for all of your epic Fourth of July celebrations, Texas grocery chain H-E-B recalled hot dog and hamburger buns, putting a serious dent in your plans and diminishing your reputation as an amazing party-thrower. 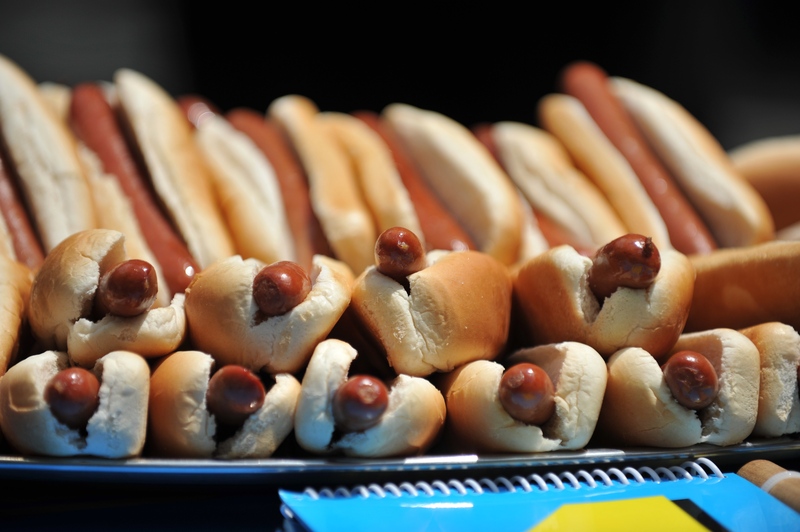 According to a press release sent out by the U.S. Food and Drug Administration, the company has also pulled all Hill Country Fare hotdog buns from shelves as well, citing the presence of a "foreign material" that could lead diners to choke. Luckily, products shelved after June 26 were safe, stated officials, which is great news for procrastinators but bad news for anyone who actually planned ahead and bought their cook-out supplies ahead of time like a responsible adult. "A terry cloth glove used for handling hot pans could have broken up in the dough, resulting in a potential choking hazard," explained the FDA on Friday. "No incidents have been reported." Officials have not yet detailed how the glove ended up in the dough in the first place. Bustle has reached out to H-E-B and is awaiting an official statement. According to the company's press release, all 10 items on the list of recalled products have "best before" dates between July 2, 2015 and July 4, 2015. The recall did not affect any other items related to the obviously incredible cook-out you were hoping to host this weekend (like that adorable flag-cake mix you just bought — so cute), so you should be safe, so long as you take those glove-infused buns back to the store ASAP.